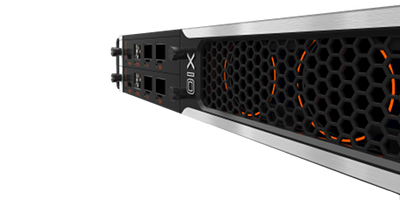 Specifically designed for IP-centric operations, the X10 chassis has a significant video processing capacity. 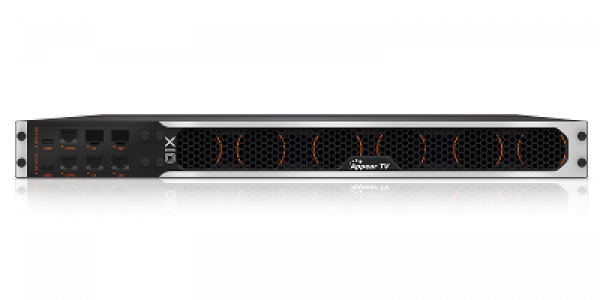 10G bi-directional IP interfaces provide firewall-grade IP security at every connection node. Built around a high capacity bus architecture that connects all modules, the X10 platform operates with dual hot-swappable power supplies, dual frontmounted control modules and six rear-mounted option slots with service density that can be defined up to 2,000 services in and out per module, extending Appear TV’s tradition of redundancy options.